If a trip to Disney is in your plans for 2019, it pays to plan ahead. 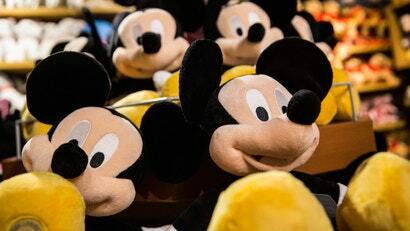 Disney updated its ticketing system for 2019 so that multi-day park tickets are now on a sliding scale, with your ticket price determined by what day you plan on first visiting the park. Flying across the world can be expensive enough, so if you plan things right, there are a number of ways you can save some cash and still have a blast. This probably isn’t going to shock you, but it’s cheaper to travel to Disney in the off-season. For Disney, the “off-season” is when kids are traditionally in school. So if you’re trying to go during Christmas, Thanksgiving, or summer break you’re going to pay a pretty penny to do so (and deal with some gnarly crowds). Inversely, if your schedule allows you to travel during the school year then there’s savings to be had. After analysing Disney’s ticket prices, Travel & Leisure says the best times to go are January, February, and mid-August. Travelling during those times will save you around $18 per ticket. It says that overall September is the best month to travel, including Labour Day. If you want to go in the warmer months, T&L recommends travelling during the first half of May or end of July (after the 26th). Another thing T&L noted was that it pays to plan ahead. With Disney tickets, you have the option of purchasing tickets for specific days, or flex tickets where you can arrive on any day. 5-day tickets where you plan the day in advance run from $540 to $629, while a 5-day flexible ticket is $640. That means you can potentially save close to $140 by just planning your first park day ahead of time. The Points Guy recently suggested using Disney gift cards as a way to save some cash on a Disney vacation. The cards can be attached to your Disney account and used to pay for almost anything at the park as well as park tickets and Disney hotels and cruises. The Points Guy suggests stacked rewards when you buy them in order to ultimately get a discount. For instance, if you purchase a card using your Target REDcard you can get 5% off. If you buy it through Target going through a shopping portal then you can add an extra 1-2% to that. I love that it says the most expensive time to go is school holidays, and then suggests August (when most of the northern hemisphere are on school summer holidays) is one of the cheapest.